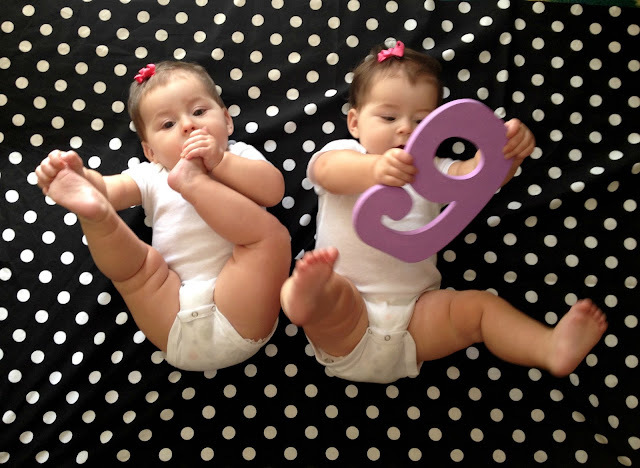 Happy nine months! You sweet have learned to much this month. Both of you are crawling (Sophia was first) and pulling up on everything! Mommy's life has now become a lot smaller as your world gets bigger. Sophia, you now have two teeth fully in! Lilly, you have one and are working on the second. 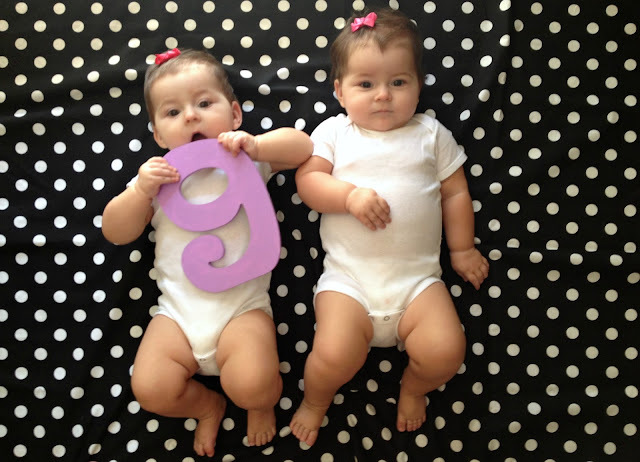 This month Lilly learned to babble! You can say "dada" and "baba". You like to go on walks and you love to chase the kitty around but you can never catch her! Your favorite food right now is hummus on toast, but you do make a big mess. 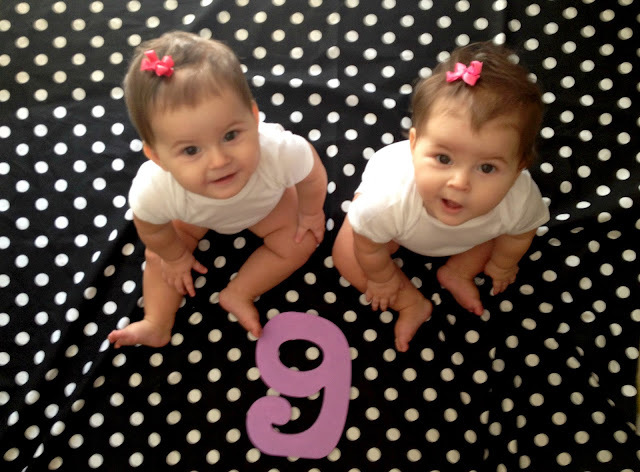 At your nine month appointment Lilly weighed 20 pounds while Sophia weighed 18.5 pounds! The funny part is that you are both the same height! You favorite toys right now are straps of all kinds; car seat straps, highchair straps and stroller straps. Sophia, Mommy and Daddy thing that you might walk soon! You are always trying to stand up in the middle of the room. Mommy has to start planning your birthday party!